"Pineapple Honey Wheat Kit (1 gallon)" has been added to your cart. 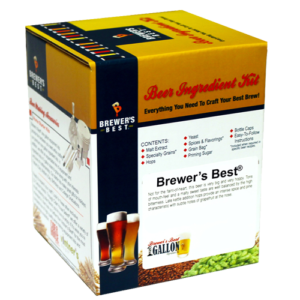 Brewer’s Best 1 gallon ingredient kits are a great way to brew small batches without the hassle of trial and error. Small batches require precise measurements of grains and hops, and these kits take out the guesswork. 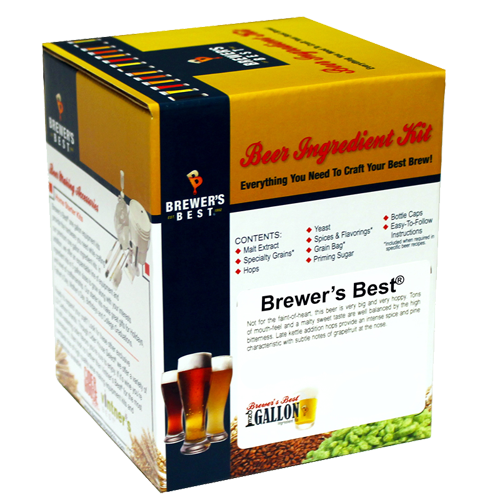 This kit yields 1 gallon of beer (10 bottles) and contains everything you need, including malt extract, grain, hops, yeast, bottle caps, a muslin bag, priming sugar, and flavorings (if applicable). You’ll need a 1.5 – 2 gallon pot to brew this batch. Bottles are not included. Please note that we rotate our selection of beer brewing kits regularly, so if we do not currently have it in stock, we will notify you of possible replacements.